The history of the town of Kyustendil dates back to fifth century B.C. Its ancient name Pautalia is translated as “Springs town”, and is derived from the Thacian word “pote”, meaning “spring”. In the Roman times, for four centuries, the town has served both as garrison and big balneological centre, where Roman soldiers healed their wounds. During the Ottoman empire the town was a famous balneological resort with lots of Hamams (Turkish baths). 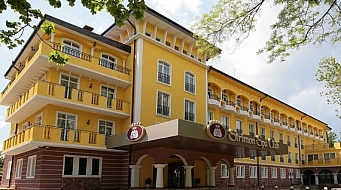 Hotel “Strimon” is situated in the centre of the town opposite to the art gallery “Vladimir Dimitrov – The Master”. This is the gallery of one of the most prominent Bulgarian painters. Kyustendil is 80 km away from Sofia, the transfer time is about 90 minutes.